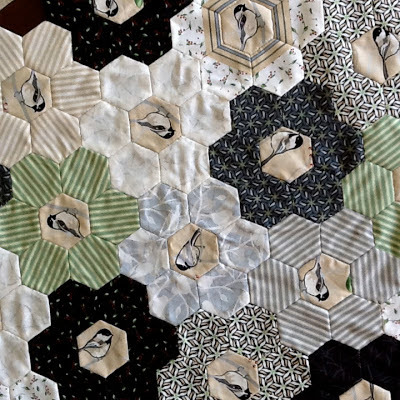 One of the ways I like to unwind is by hand piecing hexagons, so I grabbed the left overs of my Chickadee Fabrics from my Quilt Market projects and here's the result so far . . .